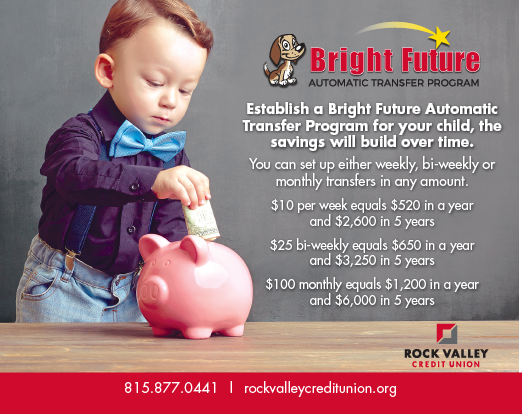 Once you open a youth savings account, enroll in the Bright Future Automatic Transfer Program. It's easy, you can establish how often transfers are made and you set the monetary amount transferred to the youth savings account. You can change/cancel at any time. Setting up automatic transfers helps build a financial foundation quicker. 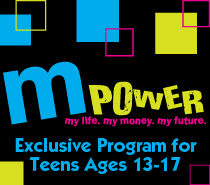 You can enroll through NetTeller or by contacting us today at (815) 282-0300.